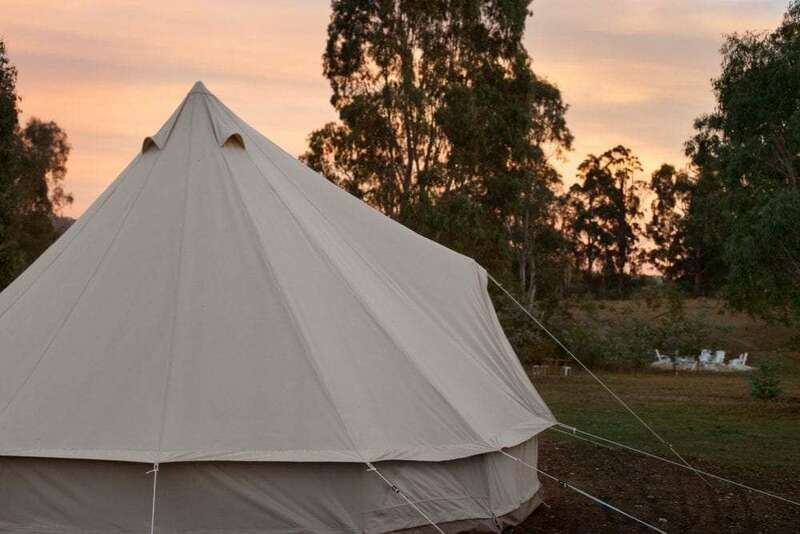 Goldfield Glamping is an off grid property, set on a tranquil 25 acres of Australian bush just 15 minutes from Daylesford and Hepburn Springs. 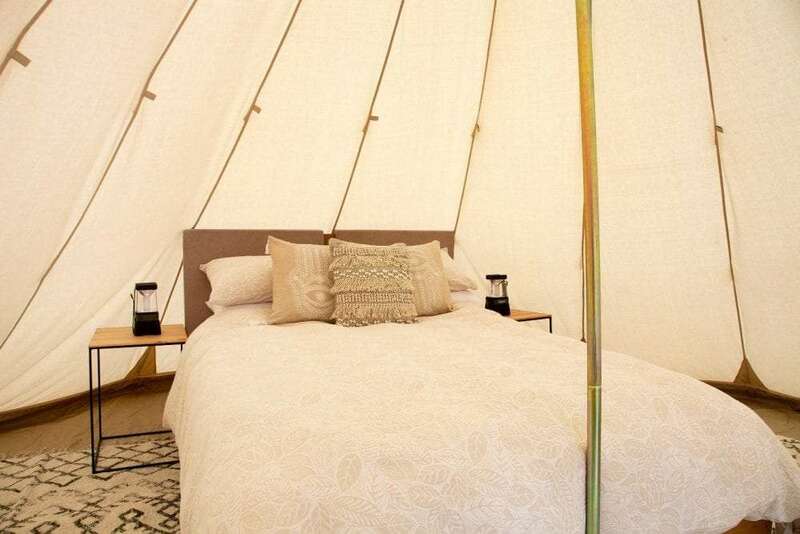 With just 5 tents, (3 bell tents and 2 tipi) this boutique site offers a relaxing, intimate get away. 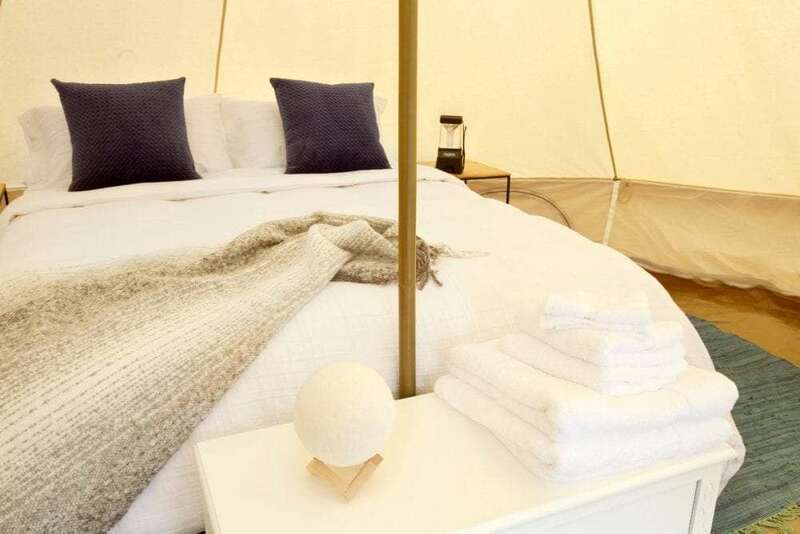 Each tent is furnished with a queen sized bed and luxury bedding, a seating area both inside and out along with your own private bbq just outside the tent door. All cutlery, crockery and glassware is provided and dishes are done for you each morning. 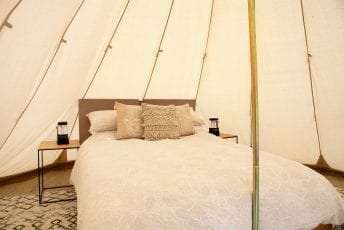 Theres nothing luxurious about waiting in line for the bathroom, so at Goldfield Glamping you will have access to your own private bathroom, with eco friendly amenities and hairdryer provided. 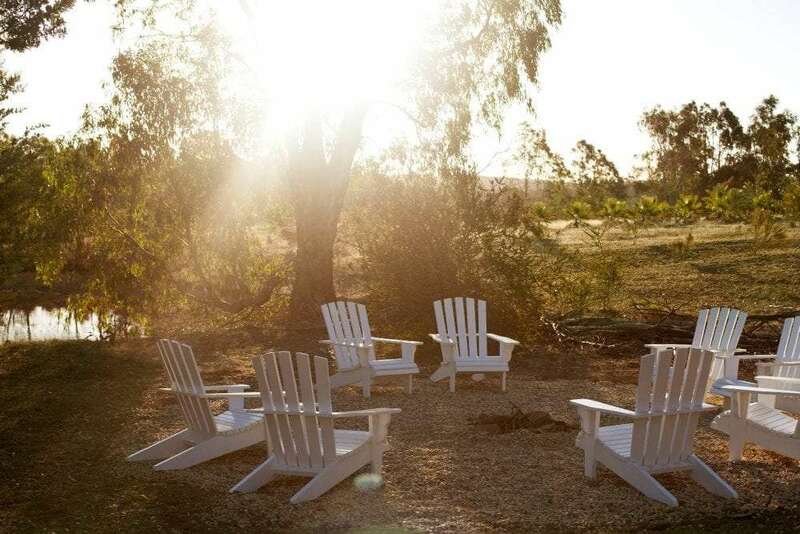 Then at the end of the day the fire pit is a great place to relax, watch the stars, toast a few marshmallows (we even provide them) and enjoy a glass of wine..